This is the "Original" Cut Crystal design by Glencairn. A cut crystal tasting glass that adds a real touch of class to either formal tasting sessions or your own private dramming. A classic, and a great gift for the dedicated whisky drinker in your life. 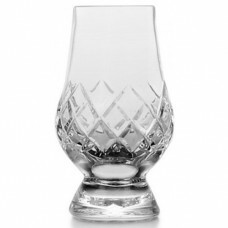 Tags: The, Non-Engraved, Glass, Whisky, Glencairn, Crystal, Cut, (1), "Cut"